I love going for afternoon tea while on vacation. It’s an escape within an escape. After walking, shopping, and sightseeing, it’s wonderful to sit down for a leisurely 2.5+ hour break in a pretty setting. 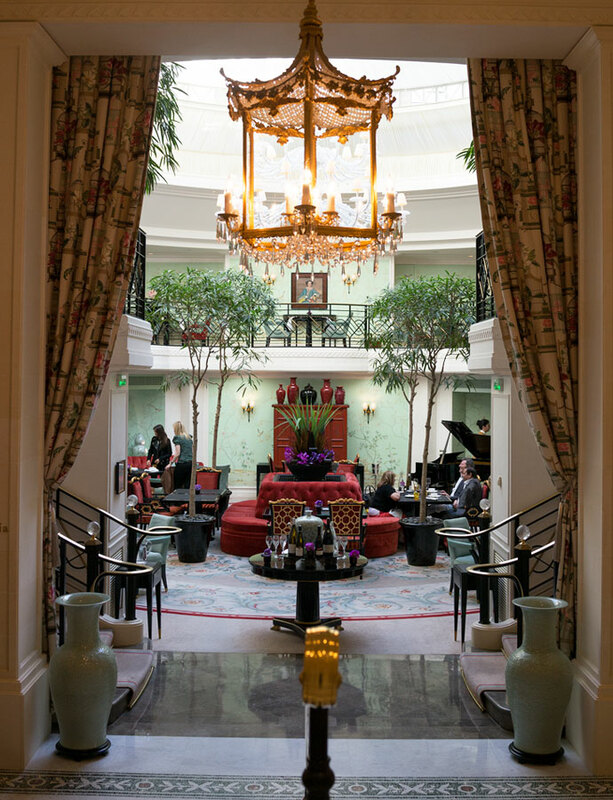 On this trip, one of the places we went for afternoon tea was the gorgeous Shangri-La in Paris. It’s pure opulence. 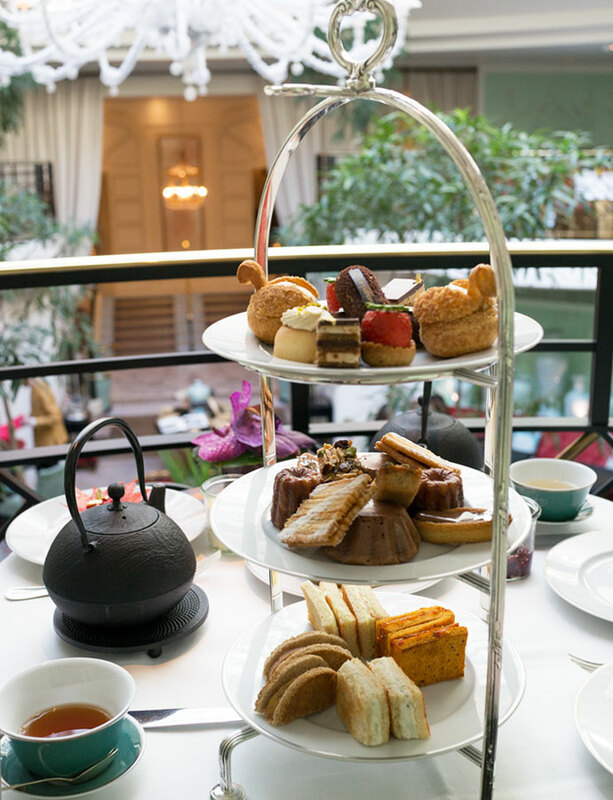 Afternoon tea is served in La Bauhinia, a two level dining space with comfy chairs and banquettes. Since it is the Shangri-La, the decor is Asian with a mix of cool mint greens and lush reds. There’s a baby grand piano on the ground level and live music accompanied our afternoon tea. Very, very good. Everything was done with a smile. A tad short of excellent just because there were a couple of instances where it was hard to get a server’s attention. I wish they had checked on our tea to make sure we didn’t need refills of hot water. EXCELLENT. ALL CAPS. One of the best teas ever had at afternoon tea. 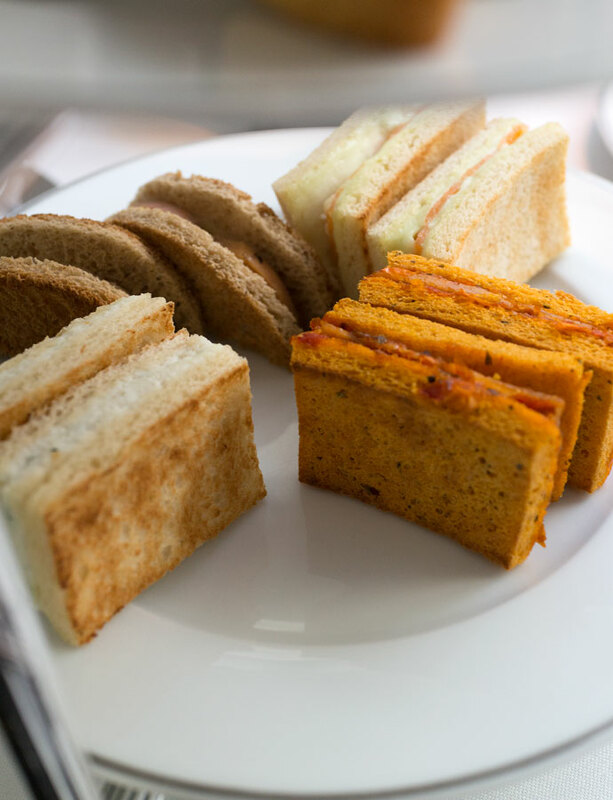 Dilmah tea is what’s served, and it was steeped to perfection. I ordered the Silver Tips du Jardin Imboolpitiya, a white tea. Light and full of flavor, I loved every single sip. 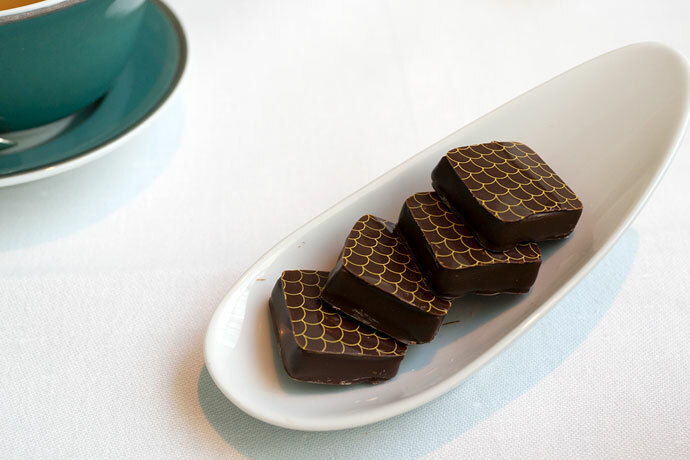 Before the three-tiered tray arrived, honey chocolates from Jacques Genin were brought out. Such a nice little treat to start! 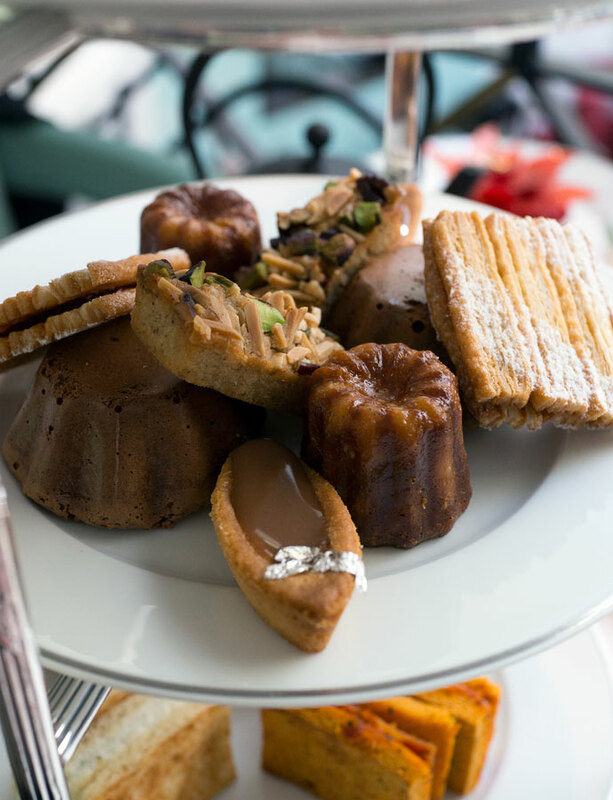 Shangri-La Paris has a couple of afternoon tea options. Last fall, they launched a new one for all those that love art with an ARTea Time afternoon tea, which is what we got, courtesy of Shangri-La. 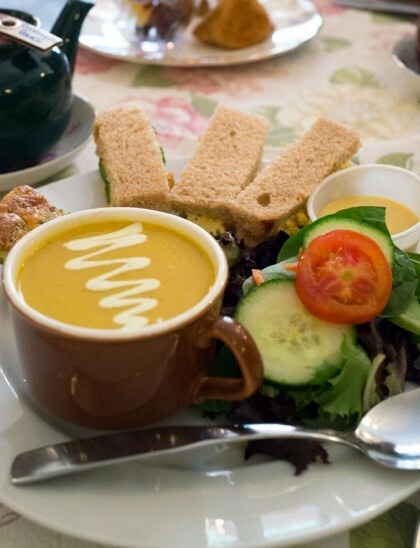 With ARTea Time, you get an afternoon tea and tickets to an art exhibition. Plus, a special dessert is created inspired by the exhibition. 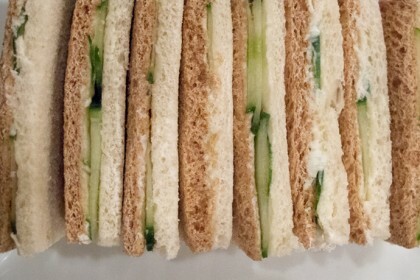 I’m not big on toasted bread for tea sandwiches, but I have no complaints about these. One in particular blew my mind — the foie gras tea sandwich. It was rich, creamy, sweet, and pure perfection. I need to make these at home! Warm and served separately on a plate. It came with a side of jam and clotted cream in cute Weck jars. Scones were very good but we could only eat one each since we had to get to the two tiers of sweets! Wished the scones were a little smaller in portion size. WHOA. We got not just the two tiers of sweets, but the special dessert (full sized) which came out separately. I loved the variety, the presentation, and how everything tasted. Everything we had was a favorite; they were all excellent. The exhibition we got tickets to was for Josephine at the Musée du Luxembourg, which we went to a couple of days later. 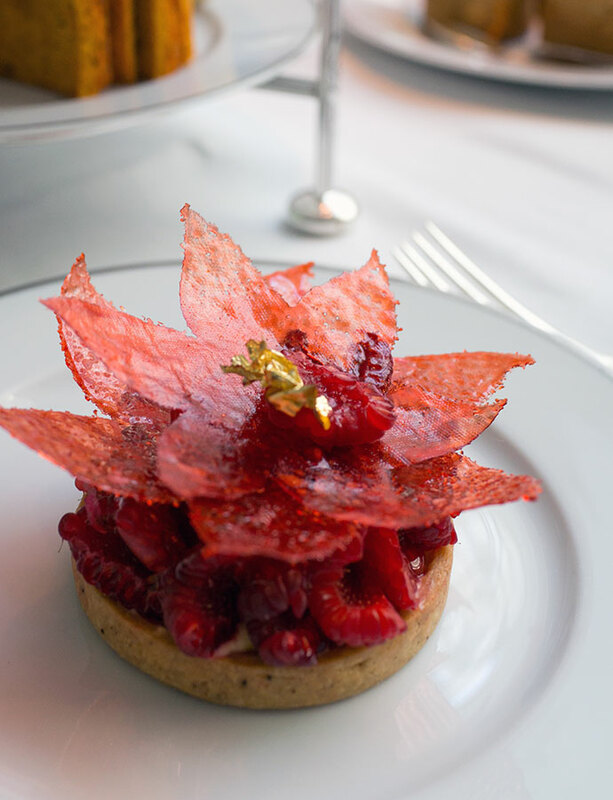 The special dessert was inspired by the empress Josephine’s love of roses. 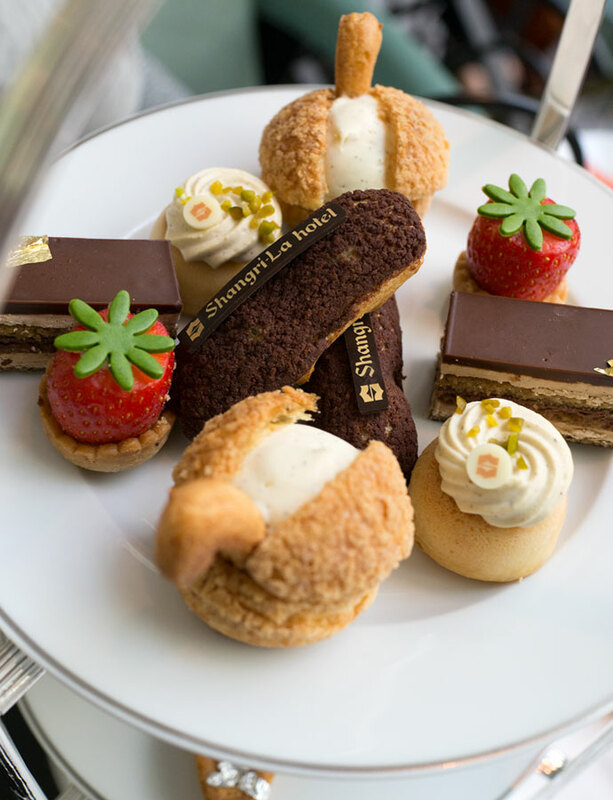 Great attention and care is given to Shangri-La’s afternoon tea service, and it’s one not to miss if you’re in Paris! This looks like an exceptional tea. The special dessert looks like art work! Hi Georgia, it was such a wonderful afternoon tea! The special dessert was topped to the brim with fresh raspberries and the sugar petals were fun to eat! I'm still dreaming of my Dilmah tea selection. It was life-changing. How can I get this tea in the US?? Hi Pam, I've been asking around for Dilmah tea, but no luck! Will have to keep searching! 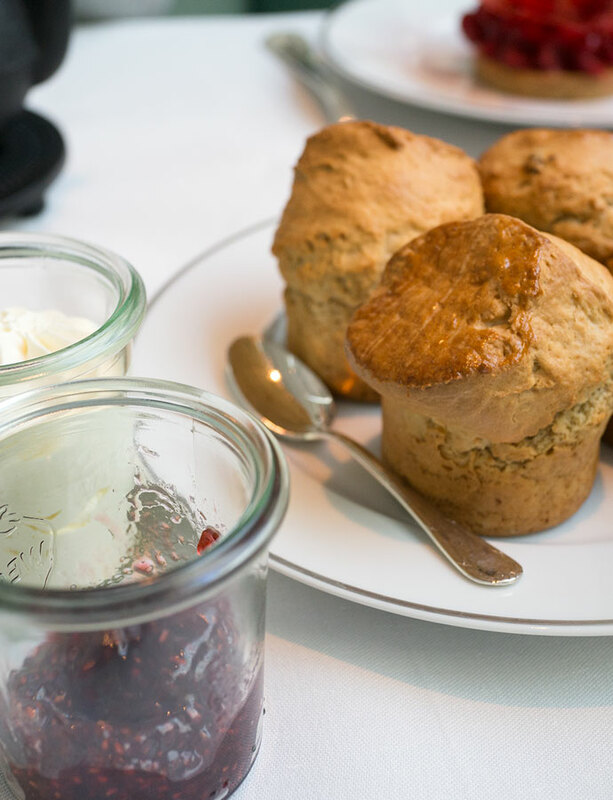 I have been browsing your afternoon tea reviews for the last hour or so and enjoying every single one! 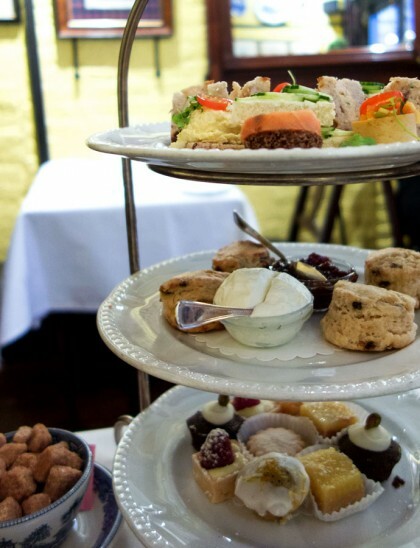 I hope you will post some reviews of Boston afternoon teas some time. L’Espalier’s is wonderful, and I hear it’s great at the Taj as well. 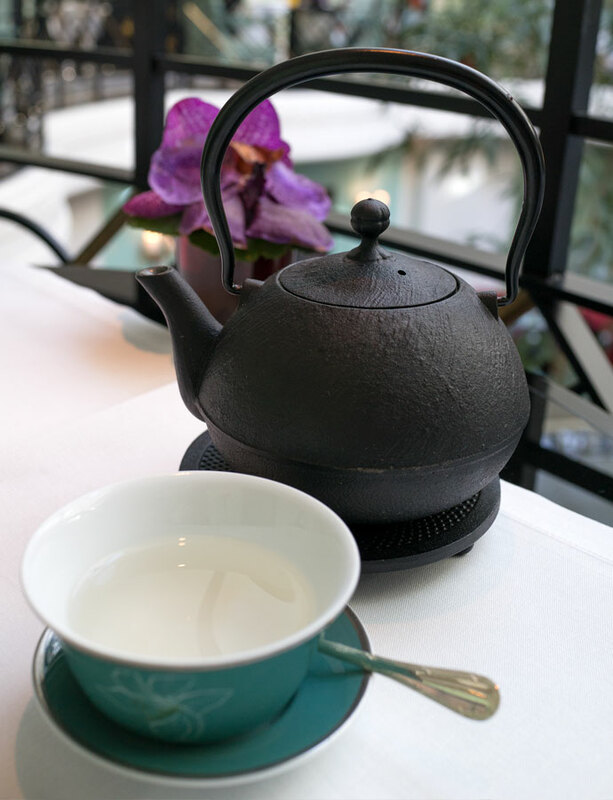 Did you have any trouble taking photos at any of the tea places in Paris? Just wondering if the locals minded / gave you a hard time. Your photos are gorgeous! Thanks for all these amazing reviews! Hi Isabel, glad you’re enjoying my afternoon tea posts! I will have to make a trip to Boston sometime to try out their tea spots. Didn’t have any trouble taking photos in Paris at all. I try to make sure people aren’t in my photos and try to be as discreet as possible. No one seemed to mind it. Thanks for the compliments on the photos! I found this post while looking for some ideas for my upcoming Paris trip. Sounds wonderful, I think I need to add the Shangri La to my to-do list while I am there! Hi J, enjoy your trip!